Thanks for another great event, Hamilton! 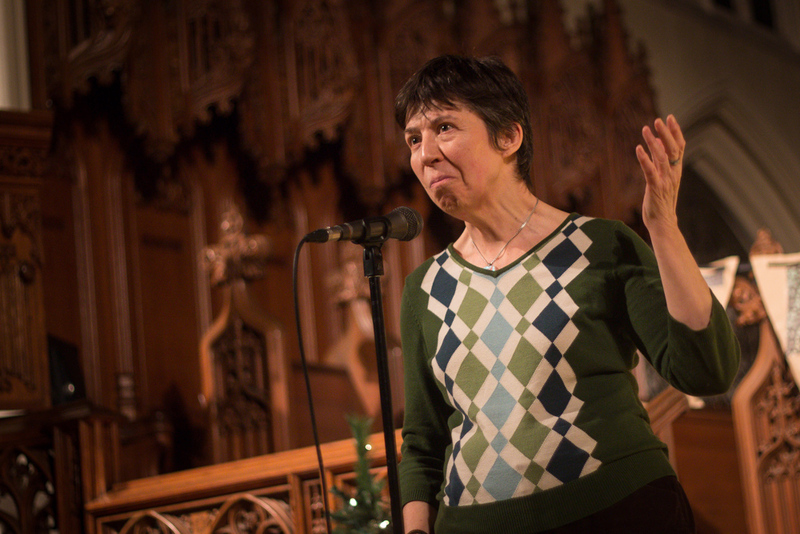 We are so thankful for our determined audience (and storytellers) who braved the elements and joined us at Christ’s Church Cathedral on Saturday night. 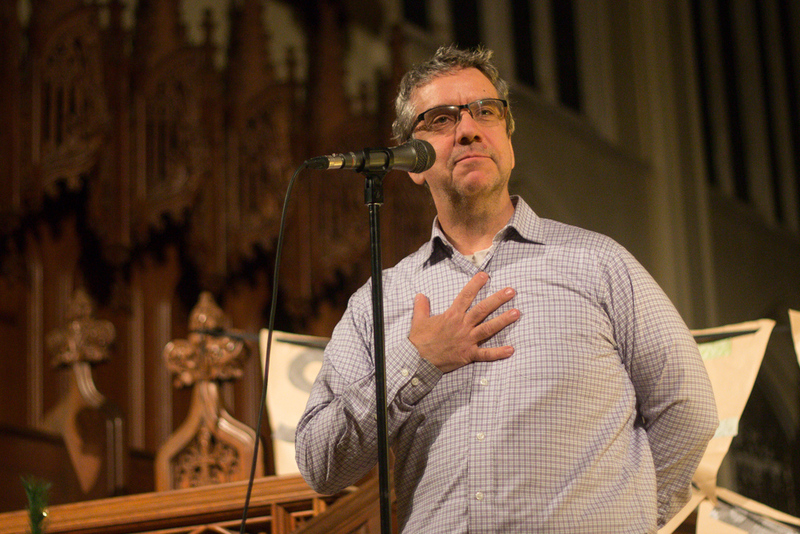 Jeff Goodes, who told a story of his own at our November event, returned to the Steel City Stories stage to host the evening’s program. 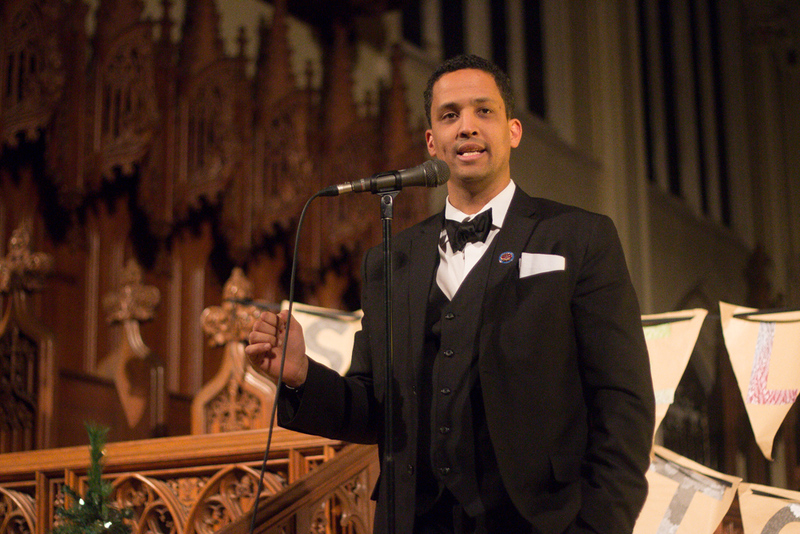 Matthew Green started the stories off, weaving together Hamilton’s and his own roots. 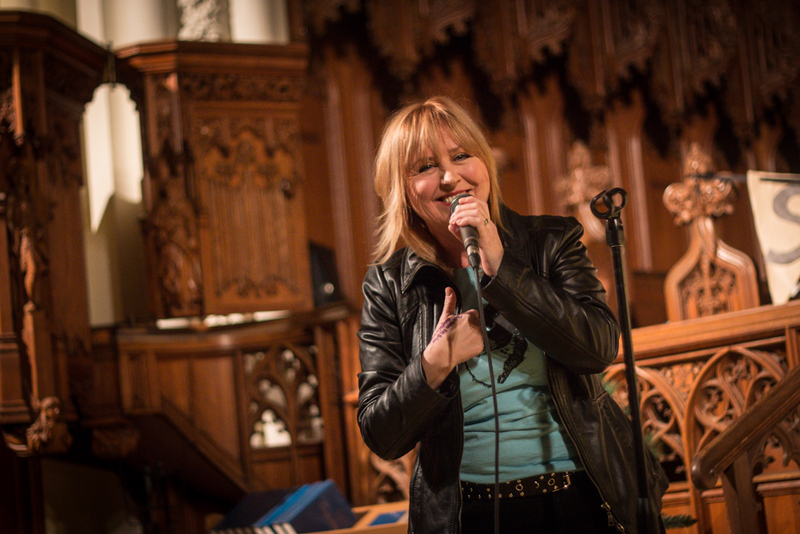 Mary Love took full advantage of the acoustics in the Cathedral, singing a few lines from a Celtic tune as she told us about her relationship with her roots as an adopted child. 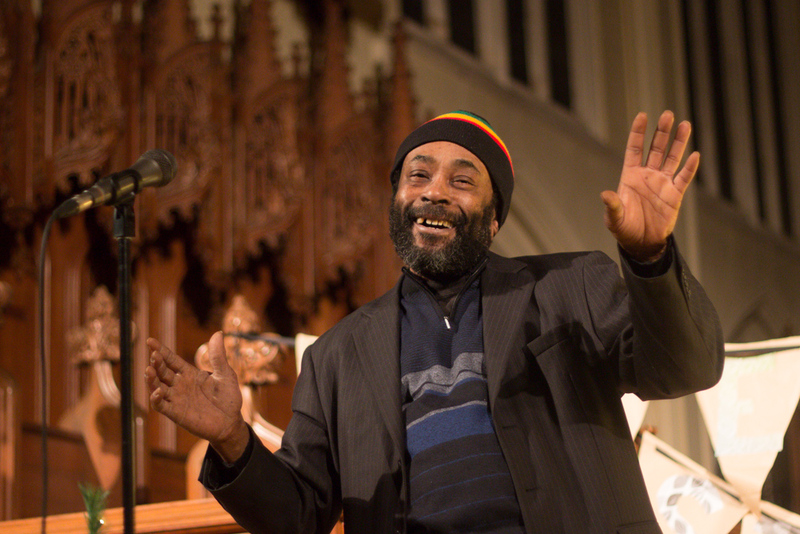 …and Kylde Broox wrapped up the evening with a medley of storytelling and dub poetry. 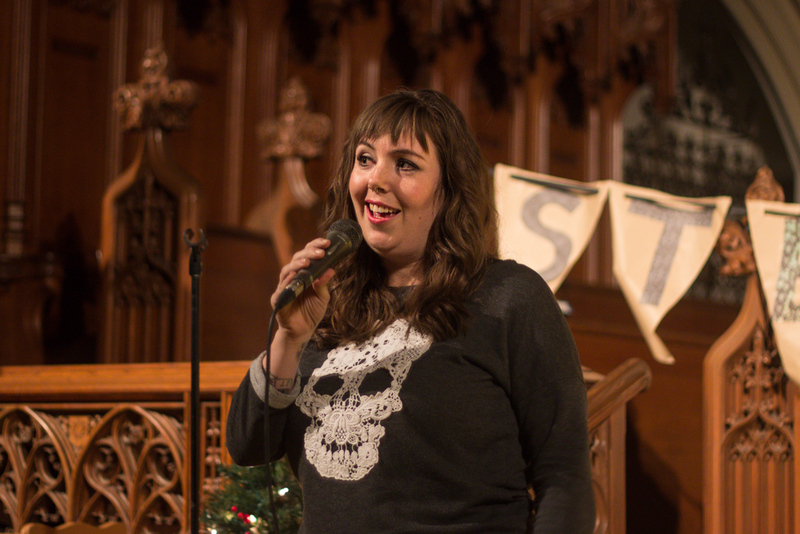 Thanks to our friend, button-maker and photographer-extraordinaire, Dan Jelly, for these fabulous shots of Saturday’s event (check out his website here)! We also owe a shout-out to our graphic designers, Chris White and Ariane Klassen, to Jason and the crew at Red Hill Coffee, and to the folks at Christ’s Church Cathedral! We’ll have podcasts of Saturday’s stories up on the website soon, and stay tuned for more information on our next event – Arrivals and Departures – coming up on April 5th!